In honor of ARCHIVE’s newest project, Breath Easy Camden, we’re thinking up some creative ways you can make your home as breath friendly as possible, too. Not only are plants a great way to add bursts of color to your home during the long and gray winter months, but certain plants have also been proven to actually help regulate your home’s air quality. In fact, when trying to create breath friendly spaceships in the 80s, NASA collaborated with the Associated Landscape Contractors of America to determine what plants purify air best. American Society of Horticultural Science followed up the these findings in a report published in HortTechnology to see if plants used to purify air in space could have the same purifying effects on Earth. Turns out they can. “Because indoor air pollution extensively affects developing countries, using plants as a mitigation method could serve as a cost-effective tool in the developing world where expensive pollution mitigation technology may not be economically feasible,” the authors of the report concluded. Now, we’re already big advocates of plant use to make homes as healthy as possible. For our malaria prevention project in Cameroon, along with design interventions and malaria awareness, we use local citronella and mint plants to help deter mosquitoes even further. But perhaps the best part of using plants to reduce indoor air pollution, is that the plants tested for air purifying characteristics by the guys at HortTechnology were the cheapest, most common, and easiest to maintain of houseplants. Spider Plant (Chlorophytum Comosum)- For the most hands-off of plant owners, the spider plant will live through pretty much anything, including drought, extreme sun, little sun, family vacations, hungry cats, etc. Purifying properties: It can filter benzene (a substance in chemical cleaners), formaldehyde, carbon monoxide and xylene (a substance found in leather, rubber, and in book printing). Snake Plant (Sansevieria Trifasciata ‘Laurentii’ – pictured above) – Similarly, this plant does well on its own and is best for filtering formaldehyde. Throw it in your bathroom and it will keep the steamy air free of those harsh cleaning products. Also it is great if you live on a busy street, as formaldehyde is heavy in car exhaust. 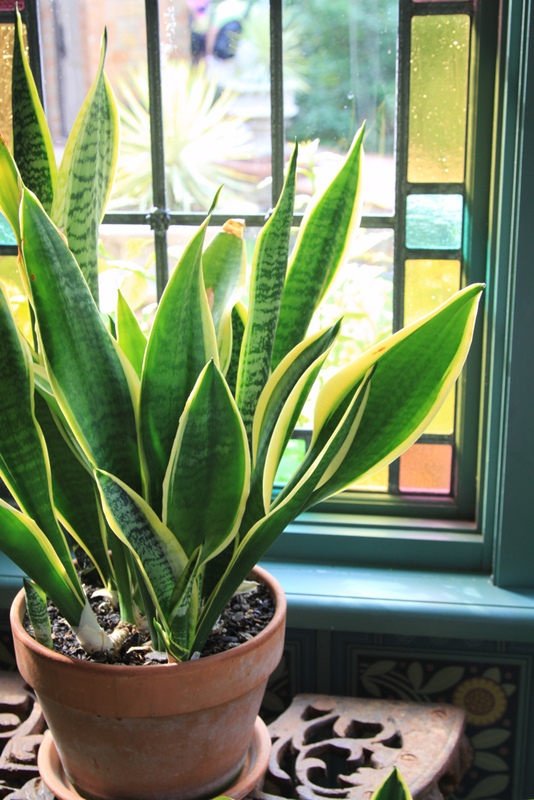 Additional info – the snake plant is also known as the mother-in-law’s tongue. Golden Pothos (Scindapsus Aures) – Even my brother can keep these guys alive, which is saying a lot. He keeps them in his windowless kitchen, without even a ray of sunlight slipping in and they’re not just fine but growing! Purifying properties: Another formaldehyde fighter, great for a garage or windowless room. Additional info – also known as the devil’s ivy. 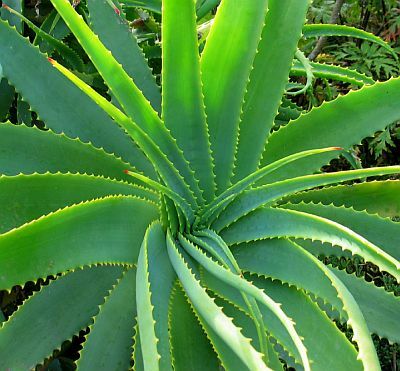 Aloe (Aloe Vera) – Aloe requires a bit more attention than your average spider or snake plant, but just a bit. Keep it in the sun and it should be happy. Water sparingly. Purifying properties: also helps filter benzene and formaldehyde. This is not an extensive list of air purifying plants. However, the plants listed are ones that require the least amount of maintenance. If you’re looking for a bit more adventure (and color!) check out the Chrysanthemum (Chrysantheium Morifolium) and the Gerber Daisy (Gerbera Jamesonii).